Sometimes, I can be a little jaded. Considering the number of submissions made since January, the amount of work that’s been outputted (and already rejected) it is probably no surprise there’s an element of ‘oh, I wonder what I’ll fail at this week’ in the mindset. Except, when I look closely at what’s been learnt in the first four months of this year, there is a phenomenal amount to be pleased and proud of. Most of that shift involves improvements in organisation and presentation. Learning how to make things sound more seductive, enthusiastic, being able to plan and block time effectively are undoubted steps in the right direction. Add to this an increased determination not to do anything other than my absolute best work for everything, however small, is altering my outlook with each passing week. There are other, more subtle changes too. Setting sensible time-frames to complete projects, beginning to learn how long things will take are all helpful. Crucially however, it is my problem solving skills which have seen the biggest leap forward since the start of the year. What do you do when a muse just won’t co-operate? How do you make something happen that patently isn’t taking place and you have a deadline looming? The key, undoubtedly is being ahead of the game. Next month, a lot of things will happen differently to accommodate a project I’ve been working on for some time. The planning’s been underway since the end of March, and is now beginning to come to fruition. I’m insanely excited about what’s coming, and hope you’ll consider joining me on the journey as we enter an area of creativity as yet undiscovered. Trust me, it’s going to be awesome. Right, back to the grind starting Monday, with ALL NEW OUTPUT because there’s no excuse after (effectively) a month off. Sure, there’s a ton of things that could be done too but for now, time to sharpen the existing skill set. Go with what you know, right? Sometimes, simple is best. There’s millions of songs out there, but all I’m interested in are the ones with a single word title. The 30 best, in my opinion, will begin appearing in the @MoveablePress Twitter feed at 9.30pm every night from April 1st. Hooray for having scheduling back and working again! Poetry’s been produced a bit differently as well this month: both haiku and micro-poems, for the entire four week period, are presented under the same banner. I had thought about maybe 30 verses of both as an overall, arching theme but that would need a little more organisational groundwork than currently exists, but is likely to happen later in the year. For now, eight words have been picked as titles, all relevant to the changing season. 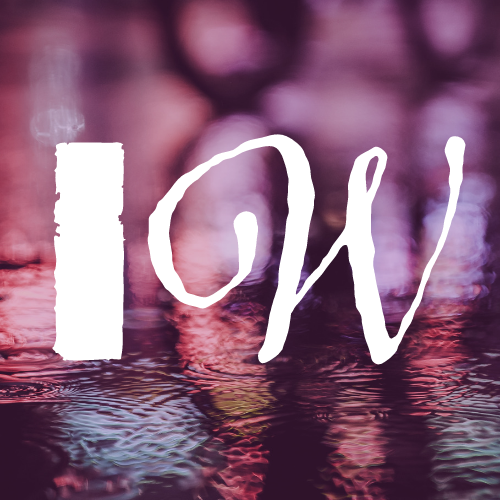 Micropoetry @ 9am and Haiku @ 5pm both on the @InternetofWords Twitter account, before poems are archived to the blog on Saturday and Sunday. Some days, it gets old. When publishers use online resources to gather your submissions, but then can’t be bothered to offer the same courtesy in order to let you know you didn’t make it. When rejection letters are so generic and yet positive as to be, quite frankly, depressing beyond belief. The long periods when you sit around, ignorant and clueless, no idea if your work has been chosen, or even if it’s been read. Then, to add insult to injury, some famous writer turns up in your Social media mentions before preaching from their position of wealth and success, telling you to never give up. Yes, you will continue to fail, but not nearly as much as you think. There’s a lot of virtual fatigue around these parts of late: whether you’ve had enough of the news coverage, political turmoil, the naysayers almost joyfully predicting the Apocalypse has already arrived… none of this is any help at all when the future, at least for you, is tied to a bunch of people who don’t seem to care one iota about what you’ve done, until suddenly they decide they can make money from it. That’s the key to breaking the control such things have on creativity; this is not about what you’re writing to make money. Of course it would help, and we all need to be careful of the promises made to ourselves and others when such lofty claims are thrown about. In the end, writing has to be about deriving pleasure from the action. You need to find the means by which development takes place, allowing creativity to move forward. Without this, there is stagnation, and ultimately depression. The key, of course, is to keep trying. The mark of the best writers is the undiminished enthusiasm for all forms of their craft, regardless of their situation. In my mind, the famous writers sitting on social media, telling others how to succeed are doing it wrong. There, I said it. There are rules, sure, and there are processes certainly, but the best way isn’t what somebody else tells you to do. It’s the way you feel happiest. Learning is incredibly subjective, and if you’re struggling with difficulty in that department, it can feel like an uphill slog. It’s become an industry out here of coaches, supporters, service industries you can’t live without: programmes for editing and grammar, insistence you need to have never published online, that virtual books are somehow less important than their paper counterparts… and the list goes on. In the end, your individual version of success will vary. Other people will only consider you successful when you earn money from your writing. Personal satisfaction, growth and evolution become completely irrelevant. Those people are wrong, too. In the end, you do feel everything, like it or not. Good and bad, capable or otherwise. As you continue to fail, success can seem a lifetime away, if all you define progress upon is the validation of others. This is my (by now daily) reminder that they don’t matter. I do. This is my journey and not theirs, and although their intervention affects progress, it will never be the best reward. That comes every time someone thanks me for a post, or enjoys a poem. This is the stuff that cannot be bought. This is the true satisfaction derived from the written word. All in all? GOOD WORK. This week, I will mostly writing short stories. How does this work for me? Well, it depends on the initial idea: some right now are two paragraphs of a narrative that is then sketched in as notes underneath. One is fully fledged, beginning to end with spots of dialogue that occurred to me whilst writing. The story we’ll be concentrating on has beginning and end, plus a very distinct structure, so the plan for that going forward is to complete the framework and then go back to add depth. The stuff that doesn’t get immediately used is already being earmarked as short story material for Twitter going forward, so everything is likely to appear at some point on the website. However, if anything leaps out at me as being superlative it will be earmarked for commercial gain ahead of anything else because we are already halfway into March and these website upkeep bills are not going to pay themselves. Content really isn’t my biggest concern right now, what mattered most of all were strong, compelling ideas. Without sounding like this is easy (really isn’t) adding depth to narratives considerably less stressful than making sure your story’s believable and immersive. The sweet spot, of course, is you idea combination of that and a little something special which makes your work leap off the page and grab your reader by the brain. In my chosen story, that’s already woven into the fabric of the narrative.